The IMSA WeatherTech SportsCar Championship resumes this weekend around the legendary streets of Long Beach in California for the BUBBA burger Sports Car Grand Prix, and after two endurance rounds at Daytona and Sebring, it is the first of the sprint races to be held in 2018. The Checkered Flag looks ahead to the third round of the season with a rundown on what to expect this weekend. WHAT HAPPENED IN 2017 AT LONG BEACH? 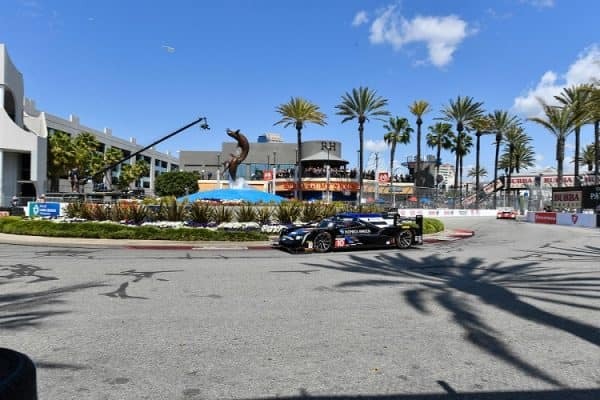 Wayne Taylor Racing took advantage of five safety car periods to take a third consecutive victory around the streets of Long Beach, with Tequila Patron ESM and Mazda Motorsports filling out the podium places. Oliver Gavin and Tommy Milner capitalised on the misfortune of others, including their Corvette Racing team-mates Antonio Garcia and Jan Magnussen, to capture the GT Le Mans class victory, with Ford Chip Ganassi Racing and the Porsche GT Team completing the podium. GT Daytona was won by Gunnar Jeannette and Cooper MacNeil for Riley Motorsports, with the sister car of Jeroen Bleekemolen and Ben Keating second, while the Scuderia Corsa duo of Alessandro Balzan and Christina Nielsen completed the top three. WHAT SHOULD I LOOK OUT FOR THIS YEAR? Just the two pro classes compete at Long Beach this season, with GT Daytona not visiting the Californian street track, with fourteen Prototype entries and eight from GT Le Mans on , with the #10 Wayne Taylor Racing Cadillac heading the field. In the hand of Jordan and Ricky Taylor, the #10 has been victorious at Long Beach for the past three seasons, but with the latter now with Acura Team Penske, it is up to Jordan Taylor and Renger van der Zande to make it four in a row. 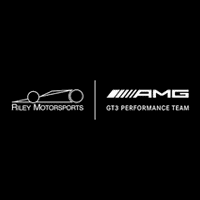 Ricky Taylor will be aiming to give Penske their first IMSA victory since they returned to the championship, and will continue his partnership with Helio Castroneves this weekend, while the sister car will be shared between Dane Cameron and Juan Pablo Montoya. The Prototype championship leaders after the two endurance races is the #31 Whelen Engineering Racing Cadillac of Eric Curran and Felipe Nasr, and they will be aiming to maintain or even extend their four-point advantage over the #54 CORE autosport duo of Jon Bennett and Colin Braun. The #5 Mustang Sampling Racing Cadillac of Filipe Albuquerque and Joao Barbosa, victorious at Daytona, will be aiming to return to form after a disappointing Sebring, while also look out for strong performances from Tequila Patron ESM, Mazda Team Joest, Performance Tech Motorsports, AFS/PR1 Mathiasen Motorsports and JDC-Miller Motorsports. There are just eight entries in GT Le Mans, with Risi Competizione dropping off the list after competing in the two endurance races. The Balance of Performance issues have been put to bed after a tremendous battle between pretty much all of the manufacturers at Sebring, and it can be expected for the battles to be close. Wins in 2018 have so far been shared between Ford Chip Ganassi Racing at Daytona and Porsche GT Team in Sebring, while Corvette Racing and BMW Team RLL have both taken podiums. The #4 Corvette pairing of Oliver Gavin and Tommy Milner are the defending race winners, but the competitive nature of GT Le Mans makes predicting a victor this season at Long Beach a difficult affair.